This is a collection of older projects that I worked on. Although many of them are unfinished, they did serve as a great learning experience for my work in future games. Toxic Townsmen, is a top down, wave based, twin stick shooter. It was made over the course of a week for a uni game jam. There are 3 different types of enemies, each with unique properties. At the end of the game there is a final boss fight, putting what you learned from the enemies to the test. Metroidvania Game, was a short lived project. A metroidvania game set on an alien planet, it has the player go deeper and deeper into the world. Fighting off enemies and gaining abilities to access new areas, this is a game similar to that of Metroid. It is a project that I hope to return to in the future. Arena FPS, was my first and so far has been my only 3D game. It's an arena arcade shooter similar to Quake or DOOM. 2 teams would fight over control of the control point in the middle of the map with many different weapons. The game had working multiplayer, chat, scoreboard, control points and combat. Game Project, was an unnamed game that I had high hopes for. It was going to be a 2D, side-scroller set in an open world, uncharted island. The player and a team, explore the island, gathering knowledge of the natives, plants and creatures. Vehicles and other steampunk style gadgets are used to get around (air-balloon to the left). Kings of the Arena, was a multiplayer arena game I made back in 2015. It has 2 teams fight on a map and the first to a certain amount of kills, wins. There are a range of characters that the players can choose from. Each have a ranged attack, yet a unique ability. The archer sprays arrows, mage swaps from fire to ice attacks and the assassin can turn invisible. Currently i'm remaking the game, so stay tuned! 2D MOBA, was a game I made back in 2014, with the goal of it being a MOBA like LoL or DOTA. It was never completed, yet many features such as characters, shop, creeps, bosses, towers, abilities and an end game were all present. The main problem with this game though, is that after 6 months of development and only a beginner knowledge of networking, the project fell short. It was a great learning experience. Medieval Top-Down Shooter, was the first wave based game I made back in 2014. Being one of my first games, it's pretty bad, but does set a foundation for my future games. There is a shop that the player can buy upgrades from, as well as a boss fight every 5 waves. Hero of the Shadows, was a minimalist game I made back in mid-2014 over the weekend. The player is a superhero and glides over rooftops, defeating enemies and getting to the end goal. 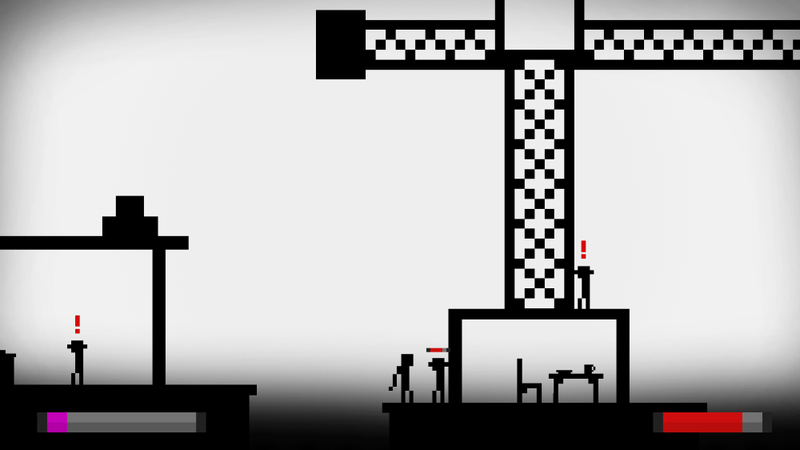 As the levels go on, the enemies get more abundant and even have guns. The Source, was my first complete game I ever made. It had the player defend the "source" from enemies that came onto the screen, trying to attack the source. The player could use their sword and bow to defend it, as well as purchasing upgrades, ammo and a turret from the store.